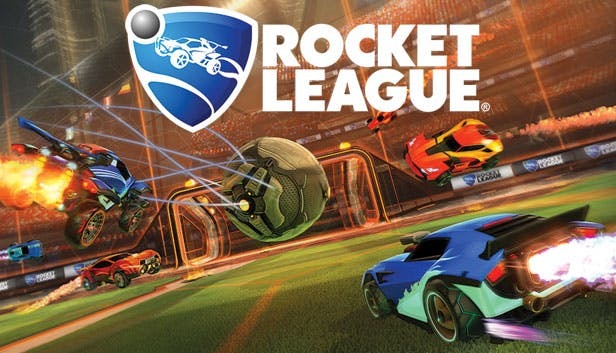 Rocket League is car football, just like you’ve probably seen on Top Gear (google it if you haven’t) just with rockets, as you’ve probably guessed from the title of the game. It’s the follow up to the popular Supersonic Acrobatic Rocket-Powered Battle Cars and I think you can appreciate why they didn’t stick with the original game’s name. The main focus of Rocket League is to score goals, from solo matches of 1v1 right through to team matches of 4v4. The intensity of these matches varies heavily on the difficulty you’re playing on or the skill level of the person who you’re playing. Generally, the AI is a tad frustrating to play with though they do have moments of excellence. Playing with other humans is the better way to play, as you can shout at actual stupidity, not artificial stupidity. If you do want to play by yourself, there’s a few modes to go with. There’s a straight up exhibition mode, where you play standard matches, on one of four difficulties, from rookie to “unfair”. There’s a training mode where you practice up some of your techniques and a league mode where you play to win a tournament. Online, it’s just straight up exhibition matches. There’s not many modes to play with, but each mode will having you going for a few hours at the very least. The lack of modes is countered with the amount of content. There’s 10 cars (11 on PS4), a smattering of stadiums and over 150 items to customise your car with. Each stadium is the same, a simple rectangle, with each having cosmetic variations to give the pitches a different feel. There’s also night variations and weather variations as well, but nothing that really affects the play of the game. The same goes for the cars too, all 11 play exactly the same, with only slight changes to the hitboxes. While it seems to make them all redundant, this has been done for fairness, giving no car a real advantage, meaning that the game remains diverse, with no focus on a particular vehicle. Customisations are unlocked when you finish a match, regardless of your performance, which is helpful as it takes forever to unlock all 150 options. The camera is one of the more annoying factors about the game, with the ball camera being helpful to lock on the ball, which quickly becomes annoying as the camera wildly swings as you drive past, because the depth perception goes out of whack. You can fix this by snapping it off with a button press, but your field of view is hindered somewhat making it hard to keep an eye on the ball. There’s options to adjust the camera, but nothing really seemed to remedy the issue properly. Rocket League is annoyingly addictive, annoyingly frustrating and takes and annoyingly long time to unlock everything. With smooth online play and intense matches, you’ll probably be putting in many hours into this little indie title. There’s more content on the way too, with crazier pitches planned in free DLC updates, as well as not-so-free car DLC as well, which will keep you coming back when you think you’ve long had enough. If you can get over the annoying AI and the dodgy camera, you’ll get a lot of love out of this little title.